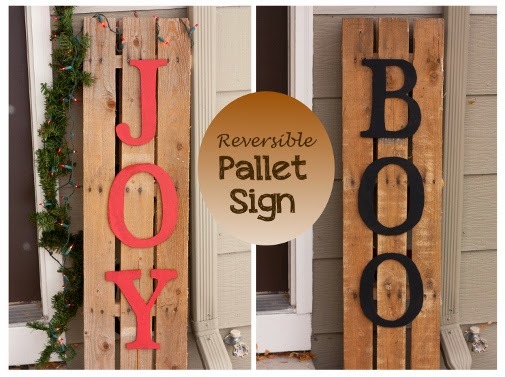 Everyday Art: Reversible Pallet Sign--Christmas and Halloween in one! 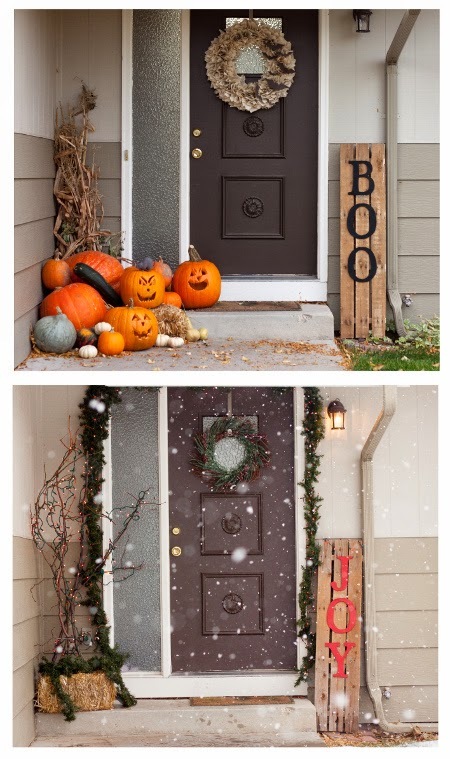 Reversible Pallet Sign--Christmas and Halloween in one! 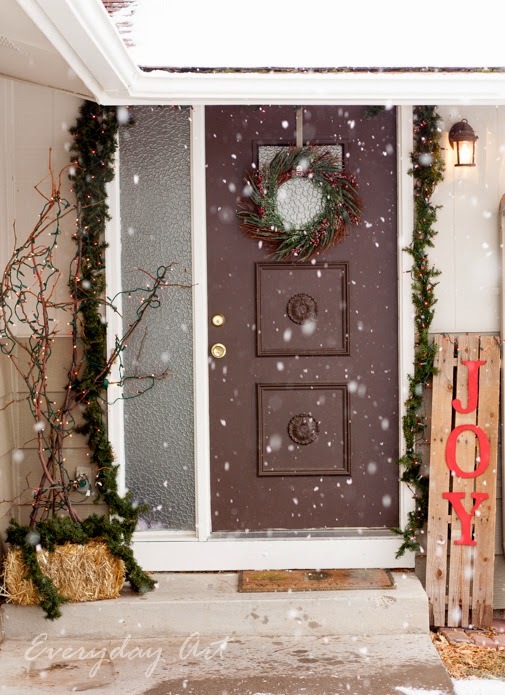 So, here's my 'Joy' Christmas version. 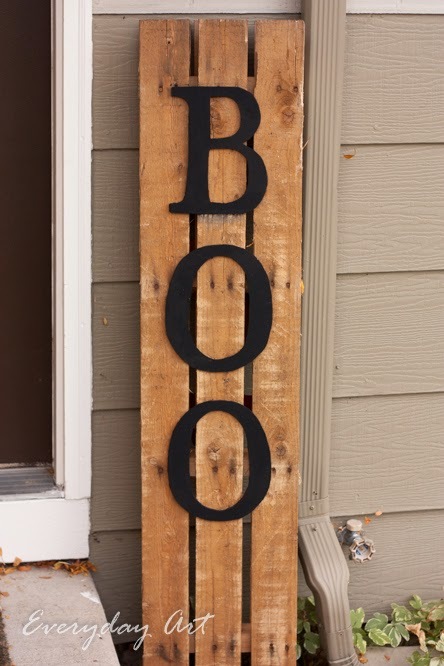 During the month of October I decorated my front porch with all those fun pumpkins (thanks to my mom's pumpkin patch) and the Boo pallet sign. 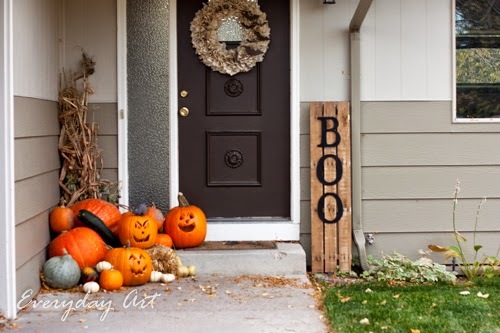 Then, for Thanksgiving I removed the sign and just kept the pumpkins out. 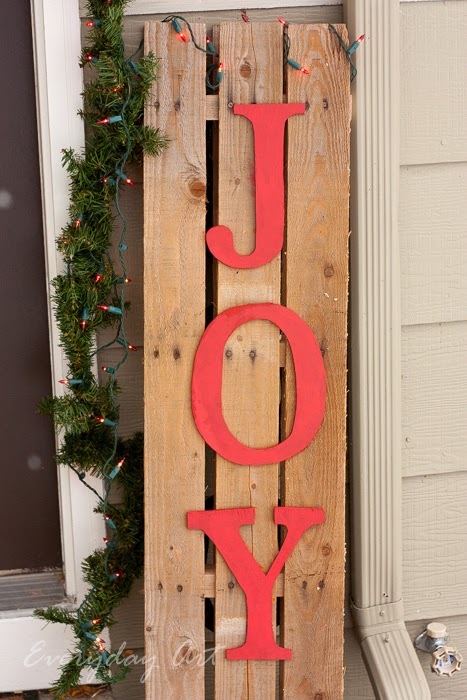 Then, for Christmas, I turned the sign around to display the 'Joy' and replaced the pumpkins with some tree branches and red lights. It was a snap to make too. 1) My hubby cut the end off of a pallet with a "sawsall" (basically a jigsaw). 2) My father-in-law cut out the letters with a scroll saw. 3) My kids painted the letters for me--the Christmas one red and the Halloween one black. 4) Then I finally did something and hammered the letters on with tiny little nails and painted over them with the appropriate color. Hmmmm, maybe I'll make a 'Lucky' and 'Easter' reversible sign too??? Joy looks so good with the snow falling!